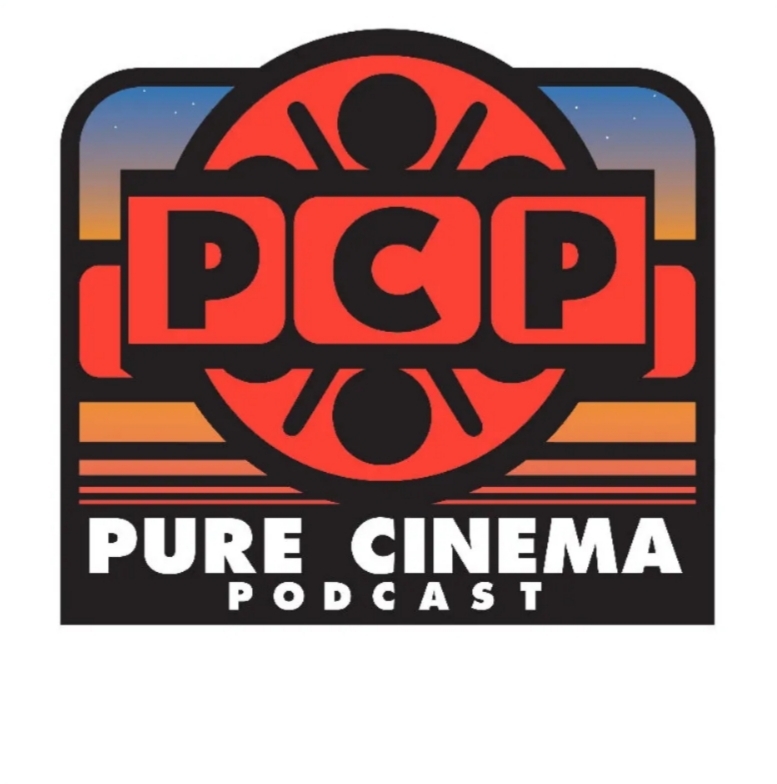 It’s always a bit overwhelming to listen to Brian Sauer and Elric Kane’s epic film recommendation show, now the official podcast of New Beverly Cinema. I’ve gotten more viewing suggestions from them than I can watch in a lifetime, but it’s a problem I’m quite happy to have. This is my favorite episode by far, because their guest is the amazing TCM/Filmstruck (RIP) programmer Millie De Chirico and their theme is the fantastically weird idea of creating double features of kiddee flicks paired with Midnight movies. 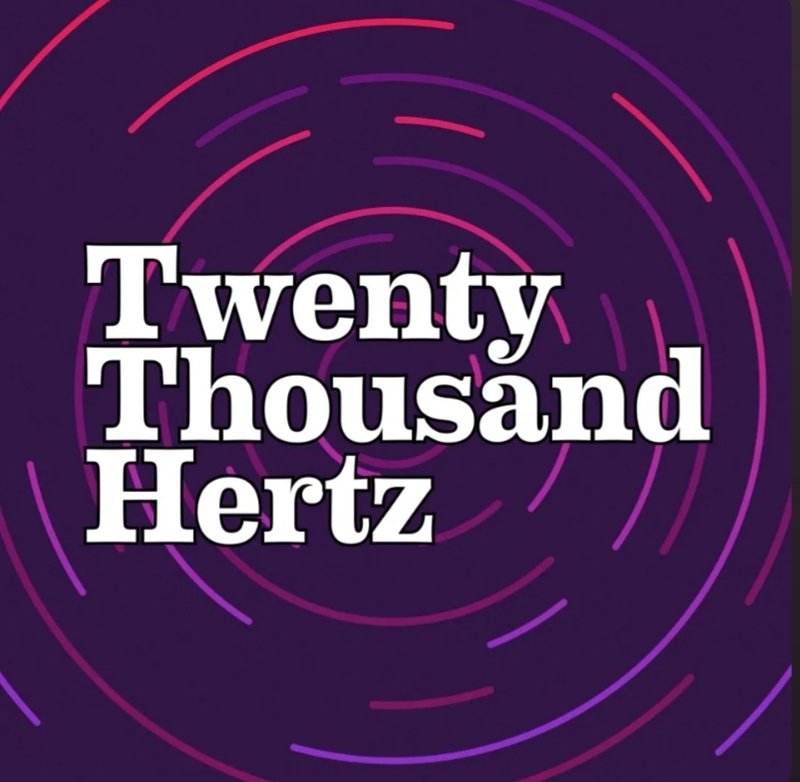 In the first part of the show, De Chirico offers a fascinating glimpse at what she does as a programmer and some of the challenges she faces getting her choices on air. Then the trio jumps into the recommendations, which as can be expected are pretty amazing given the movie love and knowledge on hand here. 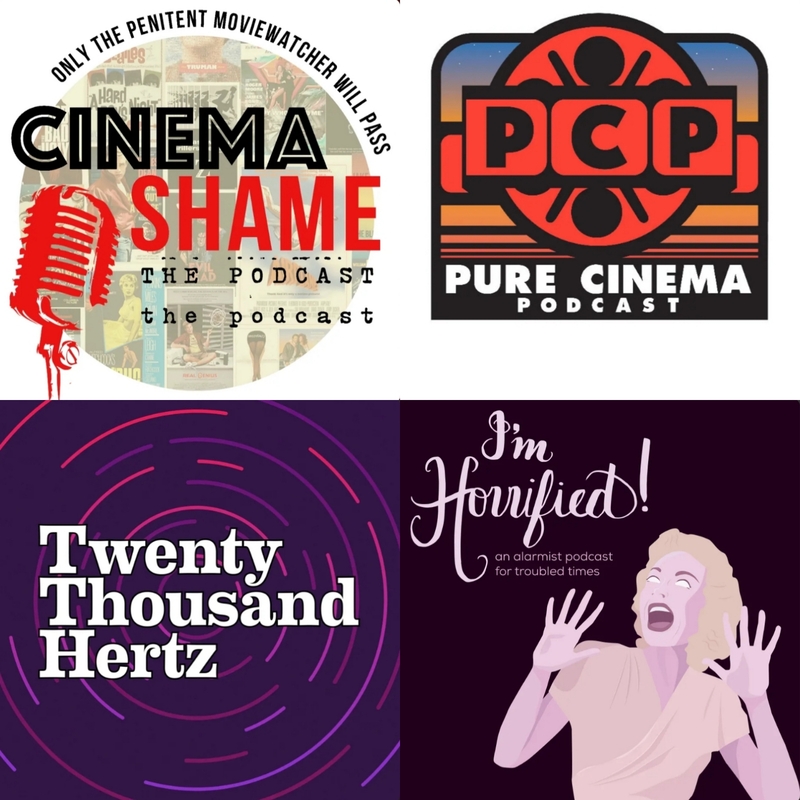 While it isn’t about classic movies, this episode about the sounds in movie trailers should be an entertaining 26 minutes for any movie fan. I laughed out loud when I found out what a booj is. After years of getting looks of disdain when I talk about my love of the Joseph Losey film BOOM! (1968), starring the explosive Taylor/Burton’s and Noël Coward, it’s been heartening to see this wild flick get a little more love over the past year. I am guessing that the upcoming Blu-ray release from Shout! Factory has something to do with getting the film back into people’s minds. 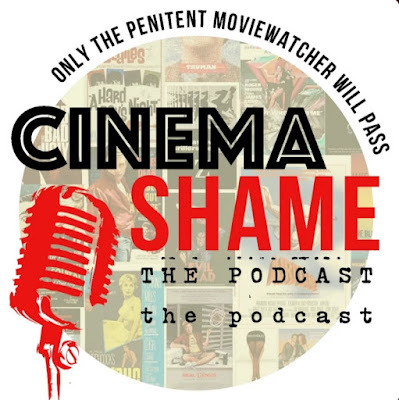 I was delighted that Cinema Shame host James David Patrick and his guest Allan Mott devoted an entire episode to the film. They do a great job unpacking the odd moments and genuine brilliance of this beautiful cinematic mess. 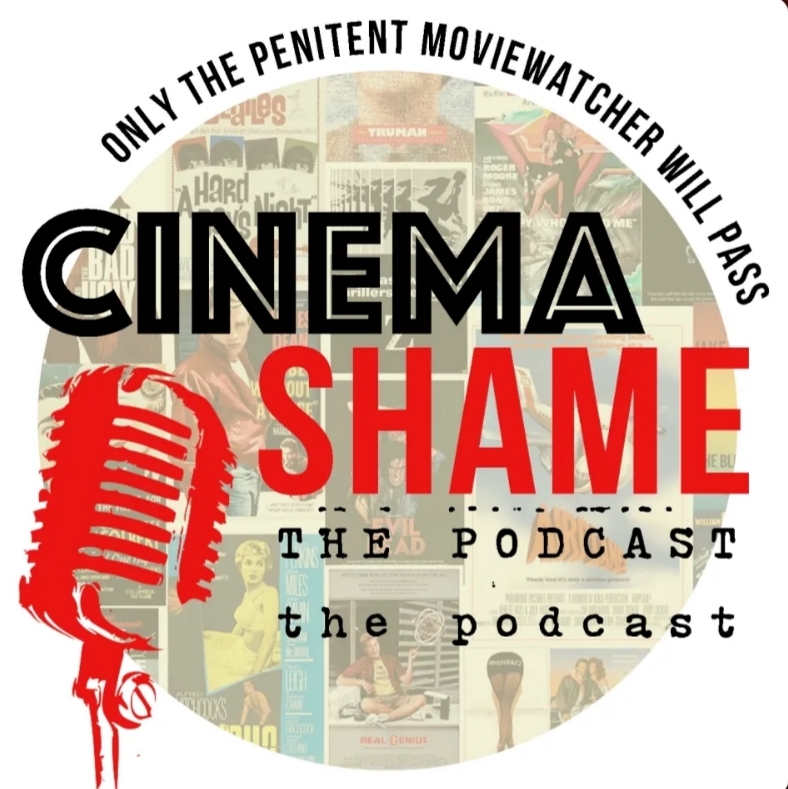 I spend so much of my time talking about classic movies with devoted film lovers, that it’s always a bit of a shock to be reminded that most people don’t know much about them. 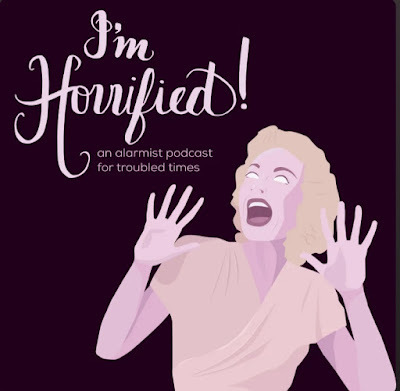 Hosted by Sam Buntich and Allie Raynor, the I’m Horrified! Podcast covers two horrific subjects an episode, one selected by each host. I could listen to these charismatic ladies talk about anything, but it was nice to take a break from medical industry scandals and earthquake subduction zones and hear them discuss the life of Dorothy Dandridge. While it is a difficult life story to take in, it’s also fascinating and it was interesting to get their point of view. I thought they did a great job with their research as well; packing in a lot of detail about a completely new-to-them subject and getting it right. Stick around for the second half of the show if you’re dying to know more about the Sham Wow Guy. Today I am flying to Hollywood to attend pre-festivities for the TCM Classic Film Festival. I am so excited to share this experience with all of you! 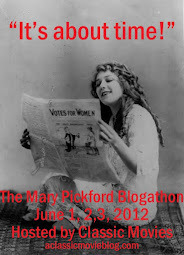 And of course I will be sharing more details and images here at A Classic Movie Blog after the festival ends. Eat: Once the festival hits full throttle, you can potentially watch one film after another without ever getting a real meal. Hunger will bring you down though, and popcorn and Junior Mints will get old if you rely on concessions for sustenance. Hit a grocery store, or even the CVS on Hollywood Boulevard before the festival begins and stock up on snacks. You should always have something on hand to stave off hunger. Be sure to also schedule a substantial meal every day of the festival. Whether it is a stop at Baja Fresh down the street from the Roosevelt Hotel for tacos, a sandwich at Starbucks or taking advantage of the delicious build-your-own bowl joints Whealthy and Jinya Ramen Express just outside the doors to the Chinese Multiplex, there are plenty of fast, healthy options to keep you going. The Hollywood and Highland Mall alone has so many options. 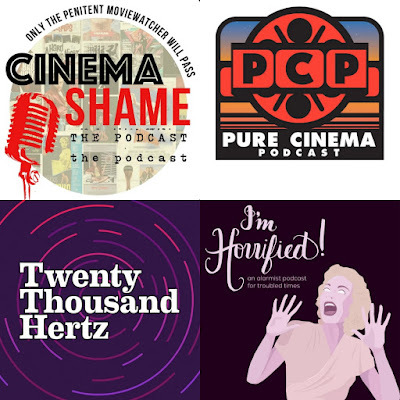 Take a Break: One of the most important things I’ve learned about TCMFF is that I need to be open to changing my schedule to take a break if I start to get too run down. This could mean skipping a program block to go back to my room for a break, starting my day a little later after a midnight screening or simply deciding to go hang out in the Hollywood Roosevelt and soak up the festival atmosphere instead of standing in line for films. Always Remember: You are Here to Have Fun! The festival experience can start to feel like a slog a few days in. Despite your best efforts you might be a little hungry, sleep-deprived, and exhausted from navigating screenings and events. You might feel upset that a long line shut you out of a screening or frustrated that there’s a scheduling conflict between two or more things you want to see. 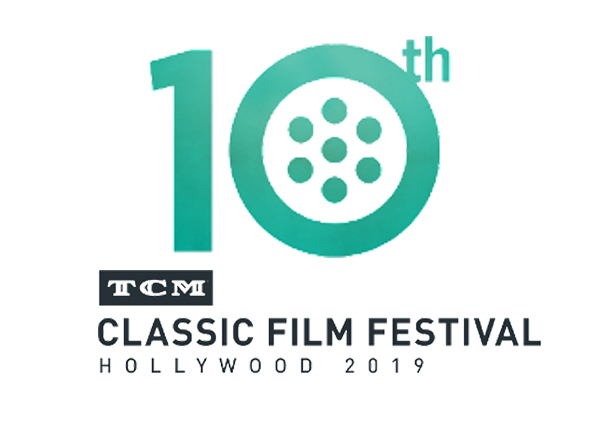 At times like these, it can really help to stop, take a moment to be grateful that you are at this fantastic event, and realize that you are going to have an amazing time if you take care of yourself and remain open to all the possibilities TCMFF has to offer. Everyone has their own unique festival experience and that’s what makes it so amazing! While it is well known among classic film fans that Audrey Hepburn endured many hardships during the Nazi occupation of the Netherlands in World War II, there has been little firm detail about what the actress went through. The only certainty: the troubles she endured colored the rest of her life and affected everything from the way she ate and lived to the work she did. In a new book, Robert Matzen tells that story, revealing all the details that a traumatized Hepburn was reluctant to share in later years. 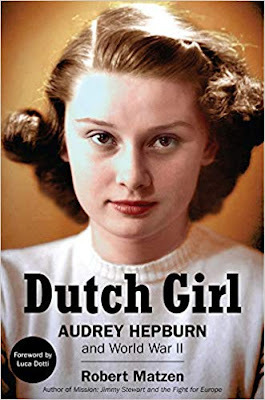 Dutch Girl is the third of Matzen’s “Hollywood in World War II” trilogy. While I missed the second book of the series, Mission: Jimmy Stewart and the Fight for Europe, I found Fireball: Carole Lombard and the Mystery of Flight 3 to be a fascinating, if devastating account of the actress’ death by plane crash and those were were on the flight with her (reviewed here). This final entry is even more haunting than the Lombard book, encapsulating not just the terror that shaped the life of one of Hollywood’s most beloved actresses, but of the Dutch people in general. 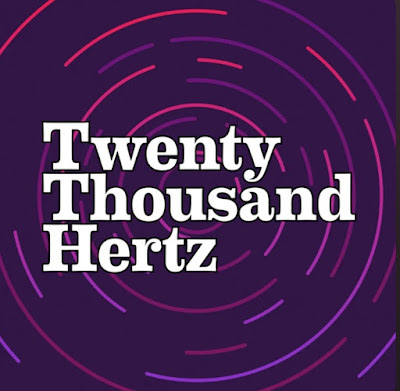 Matzen begins with the years directly before the war, when her parent’s divorced and her father essentially disappeared from her life, leaving her with feelings of abandonment that would stay with her forever. Audrey was shuttled off to an English boarding school while her mother, the Baroness Ella Van Heemstra settled in Arnhem. While the young girl was lonely and anxious, she developed a love for dance that nurtured her. As the inevitability of war grew, the Baroness decided it best to have her daughter with her. Barely making it to Arnhem, Audrey spent the rest of the war with her emotionally cold, but fundamentally supportive mother, dancing as much as she could and sometimes struggling to survive. The story that follows is brutal and not for more sensitive tastes, but it is an important document of civilian life in war. Perhaps the most chilling aspect of the story is that the middle class Van Heemstra’s made out relatively well: losing some family, but never starving or suffering assault from German soldiers, and still suffered the fallout from those times for the rest of their lives. It makes you realize how unbearably horrifying it must have been for those with fewer resources. Dutch Girl is the most revealing account I’ve read of the life of the Baroness Van Heemstra. Matzen details her pre and early wartime devotion to the Nazi party and Hitler, who she met before the war. It’s an admiration that she was later ashamed to have had and which Audrey occasionally feared would become a scandal when she became famous. Aside from this unfortunate idolatry, Matzen reveals a complicated woman, who, while being emotionally cold with her children, had craved physical affection as a child herself, but never received it or learned how to give it. The Baroness may have had a complicated relationship with her daughter, but she drew upon considerable strength to keep her safe throughout the war, including lifting her spirits by encouraging her interest in dance. Matzen effectively describes the terror young Audrey must have felt as German soldiers marched into Arnhem, the horror of her beloved uncle and much treasured father figure being held hostage and eventually executed, and the helpless feeling of being forced to cower in a shelter while Allied planes bombed the city above. He captures great detail via interviews with locals who experienced many of the same things Hepburn did during this time. It is easy to envision the environment she lived in, where she could hear prisoners being tortured from the street and there was no guarantee that a loved one wouldn’t be whisked away in the night or that she could even lose her own life. I was especially interested to learn the extent of Hepburn’s work for the resistance. Via a family friend, she formed an alliance with a group of doctors who provided not only care, but forged documents and sanctuary for citizens in danger. In raising money with dance recitals and bringing food to downed pilots and other resistors hiding in the woods, she put herself at risk, but she was compelled to do everything she could to help. The book touches lightly on Hepburn's film career, occasionally weaving it into the narrative. I was stunned to realize how close she was to this trauma when she found widespread fame starring as a princess in Roman Holiday (1953). Less than a decade after ducking German soldiers and Allied bombs, she was cradling an Oscar and celebrated by the world. What strength it must have taken to traverse those different worlds and build a life. Before reading this book, I never fully understood how deeply Hepburn’s wartime experience had impacted her life. She was truly haunted by what she saw and endured. It was fascinating, if difficult to learn about this one story of many in a generation that was permanently altered by World War II. Many thanks to GoodKnight Books for sending a copy of the book for review. When we experience a film, we prime ourselves for illusion. We make way for it in our imagination. 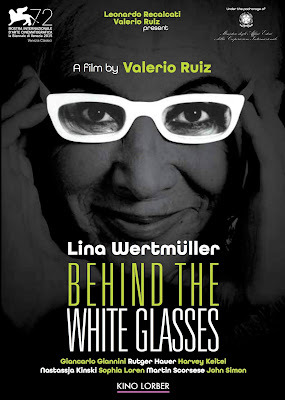 The best thing about this exploration of the creative life of Italian filmmaker Lina Wertmüller (Swept Away , Seven Beauties ) is that she seems to have survived a brutal industry not only unscathed, but with utter joy. Whatever the challenges she has faced, her approach to life and work appears to be playful and adventurous. Here she shares memories of her career: the people she knew, the films she made, and how it led to the happy, prosperous life she leads now. This is a must-watch for any fans of the legendary film book Hitchcock/Truffaut in which the young French filmmaker Francois Truffaut spoke at length with Alfred Hitchcock about his films. Lengthy audio recordings from their sessions add an extra dimension to the topics they discussed and how they discussed them. It’s a great companion piece. 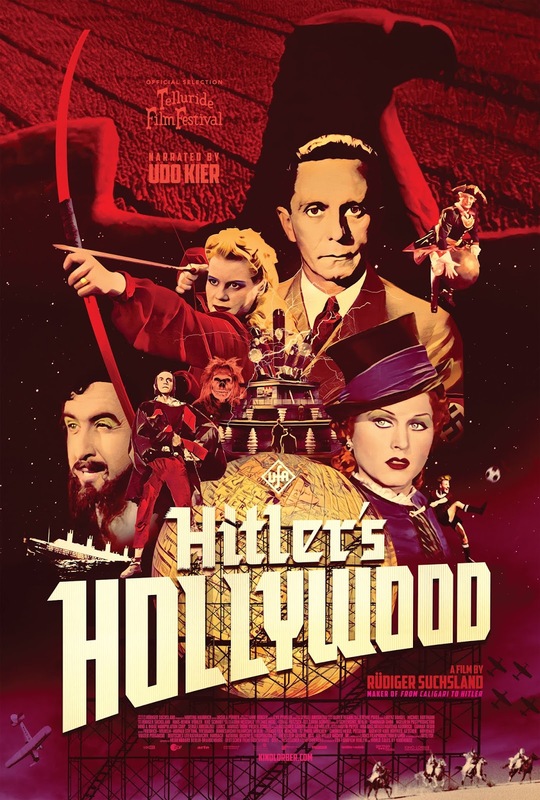 I was so hoping that the output of World War II Nazi film studios, overseen by sole industry auteur Joseph Goebbels, would be horrible, but it seems there were some intriguing works among the propaganda and cheerful artifice of the era. In this exploration of the stars, films, and tropes of the era, it is clear that these works were made to bolster a regime and could thus lack heart or authenticity, but there are also some stunning images to behold and I have to admit I felt a queasy admiration for and curiosity about several works from the cinematic sampling I saw here. 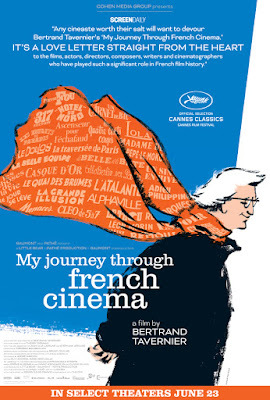 I first saw this expansive exploration of French cinema at the Seattle International Film Festival (SIFF) and while it is of epic length, every bit of it is fascinating. 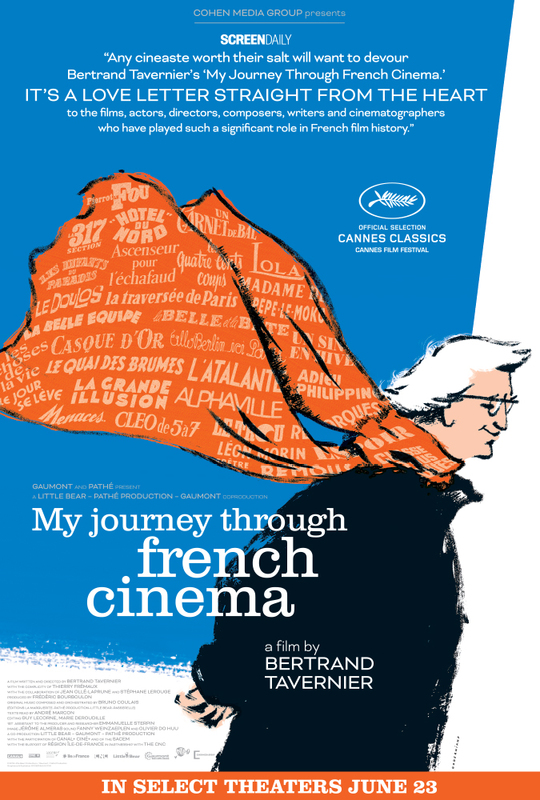 Director Bertrand Tavernier lends an insider’s wisdom to his observations of several aspects of French film, from the actors and directors to the composers and most enduring classics. 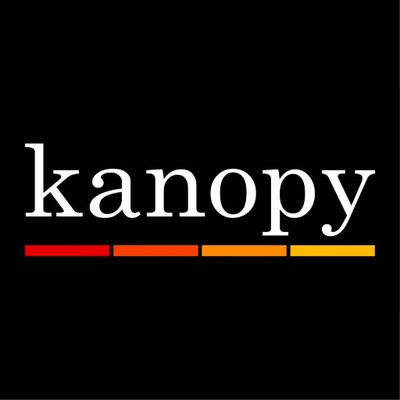 The best part of the film is the many film clips Tavernier shares; I watched this again on Kanopy so I could focus on writing down titles of movies I wanted to see. It was a long list. 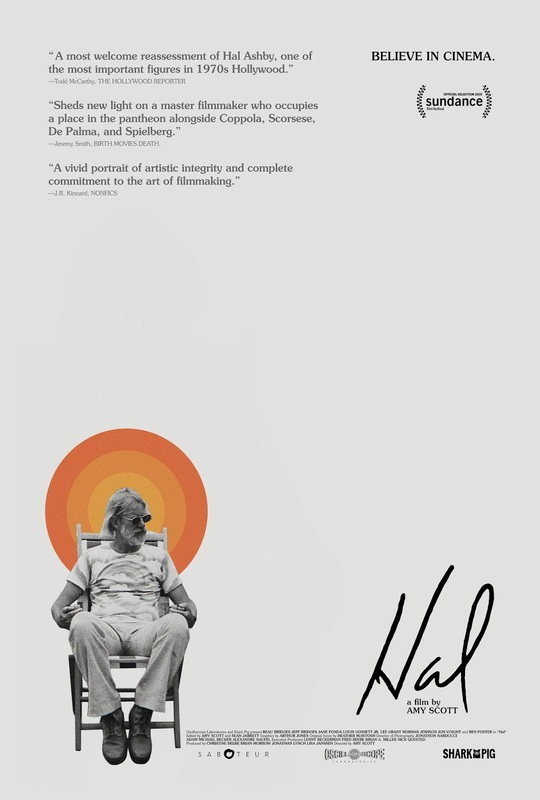 I also saw this lively documentary about director Hal Ashby (Harold and Maude , Being There , Shampoo ) for the first time at SIFF 2018. It’s a fascinating portrait of an unusual filmmaker who, despite the classics under his belt remains underappreciated as an auteur. Amy Scott’s film reveals a work-obsessed, sensitive man who fought to fulfill his artistic vision with varying success. It’s hard to describe the magical feeling this tribute to film inspires. 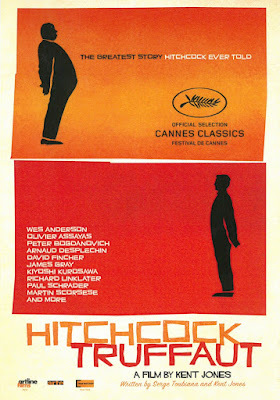 The montage of amazing images, film clips, and music casts a mesmerizing spell, perfectly expressing the wonder of cinema. 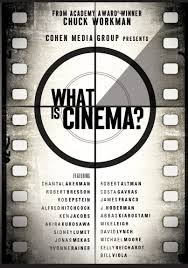 This collection of clips is juxtaposed with a mix of new and archival interviews with filmmakers including Chantal Akerman, Costa-Gavras, Mike Leigh, and Jonas Mekas, which provide a pleasing international perspective on cinema and its delights. 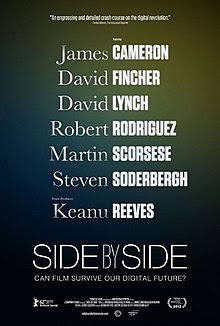 Side by Side producer Keanu Reeves is endearingly curious as he speaks with some of the top filmmakers in the industry about the switch from film to digital technology. 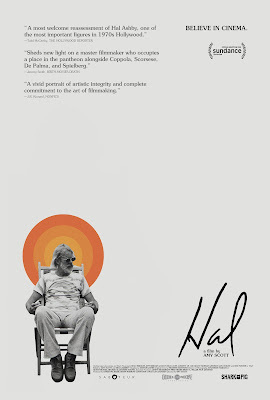 While a lot has changed since this was released, the conversations he has with a wide array of professionals, including David Lynch, Anne V. Coates, Martin Scorsese, Greta Gerwig and Steven Soderbergh, are interesting in themselves as a document of widely varying perspectives on film. As Warner Archive celebrates its tenth year, I have been looking back on the hundreds of films I’ve reviewed from the label over the years. I treasure so many of these releases, from the pre-codes to big budget Technicolor musicals. However, my favorites have been the underseen gems that have come to me out of nowhere. 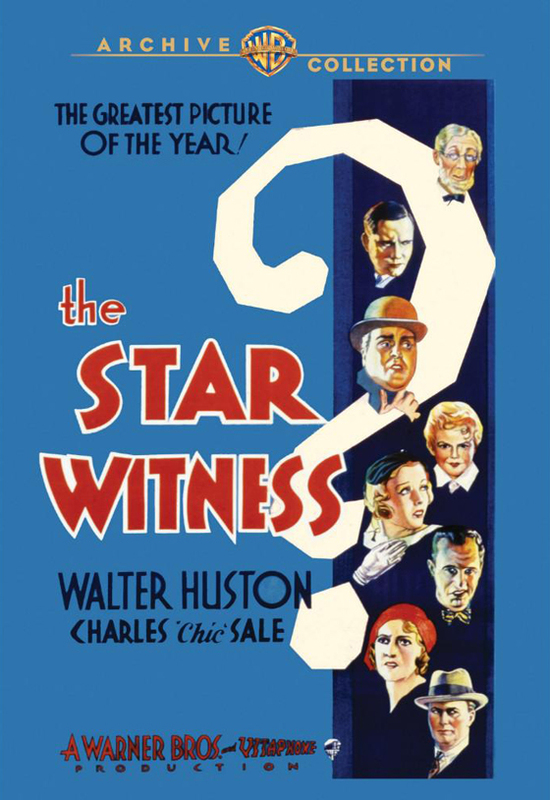 So many interesting discoveries have come to me from the Archive and The Star Witness (1931) is one of them. After making Academy Award history with the first best picture win Wings (1927), and before A Star is Born (1937), Beau Geste (1939), and The Ox-Bow Incident (1942), director William Wellman had an exhilarating run in the pre-code era. 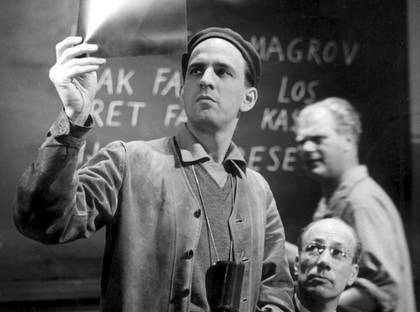 He helped set the template for crime films with The Public Enemy (1931) and continued to explore the dark side of society with sensational flicks like Night Nurse (1931) and Heroes for Sale (1933). Knowing all this, The Star Witness certainly pales in comparison, but it is still a fascinating flick, and unusual in the way it combines the sweetness of family life with the horror of a crime syndicate. There’s a lot of drama, humor, schmaltz and excitement packed into this barely hour-plus pre-code. It starts out tender, turns brutal and then roars to a heroic finish. The Star Witness opens on the Leeds family cozily eating dinner: Ma (Frances Starr) and Pa (Grant Mitchell), their children Sue, Jackie Ned and Donny, and crusty, but energetic Grandpa Summerill (Charles “Chic” Sale) who is visiting from the Veteran’s home. They hear gunshots on the street and instead of hitting the floor, the whole family, including tiny Ned, runs to the window to check out the action. Here they watch a mob hit and realize in horror that the men are going to make an escape through their apartment. Unwillingly, they become witnesses who have been seen by the criminals, thus endangering their lives. What follows is a uniquely blended drama of warm family time and horrific mob menace. There is one scene in particular where the father (Mitchell) is subject to a startling beating that hits the guts in an intensely visceral way. Often in a movie like this you are only left to imagine what tortures a criminal could inflict upon a menaced innocent, here you witness it and feel its horrific impact. Walter Huston is perfectly cast as the straight shooting, but fearsomely ambitious district attorney. Though not completely insensitive to the suffering of the family, he dismisses their fear in his determination to convict the gangsters. With the exception of pre-Our Gang Dickie Moore, there are few other star names or remarkable performances in the nevertheless solid cast, though the family patriarch Grant Mitchell has some heart-wrenching moments. The stand-out by far is Charles ‘Chic’ Sales, a 46-year-old man playing the sweet and salty Grandpa Summerhill, an elderly Civil War veteran. Though not well remembered today, at the time Sales had made quite a name for himself as a comic actor on the stage and screen. I would not be surprised if Sale’s performance was the baseline for many an old prospector-style character. He waddles around talking about things that get his “dander up” and mutters that he knows it’s going to rain because his knee is bad. Viewed today, years after this kind of character has become a caricature of a caricature, it’s an especially amusing performance. The topper is that he’s still got fighting spirit and proficiency with firearms, which comes in handy when things get tough. Sadly, this charismatic performer would die of pneumonia at age 51 in 1936. This is an entertaining flick, bizarrely balanced between sweetness and suspense, but always well-paced and lively.